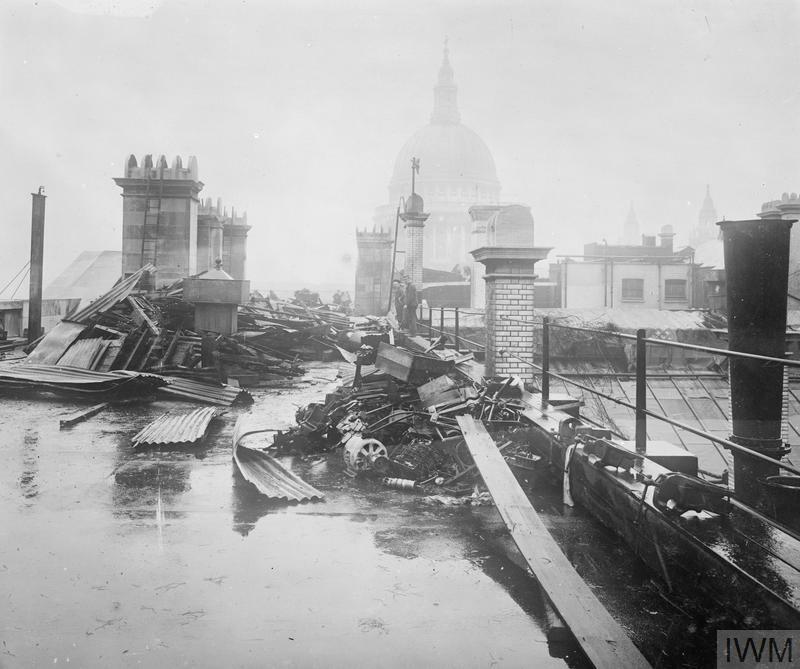 Britain went to war on 4 August 1914. The German invasion of Belgium, the independence of which Britain had guaranteed in 1839, united the nation behind the Liberal government of Herbert Asquith. 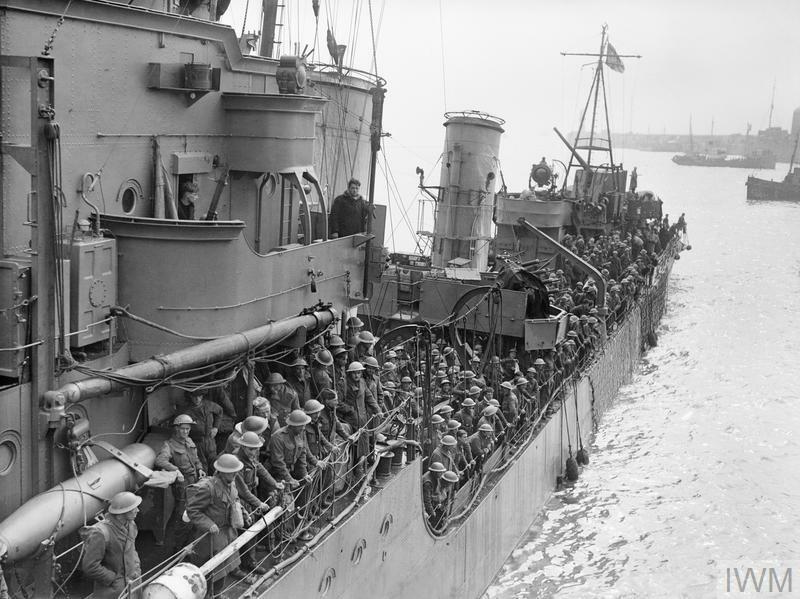 Many in Britain, as in the other warring nations, expected the war would be a short one, with the Allies quickly triumphing over Germany. There was a great deal of patriotic fervour, whipped up by the popular press and politicians, and exemplified by a rush of men to join up. In the event, the war was to last for over four years and it would change the cultural, economic, political and social fabric of Britain forever. 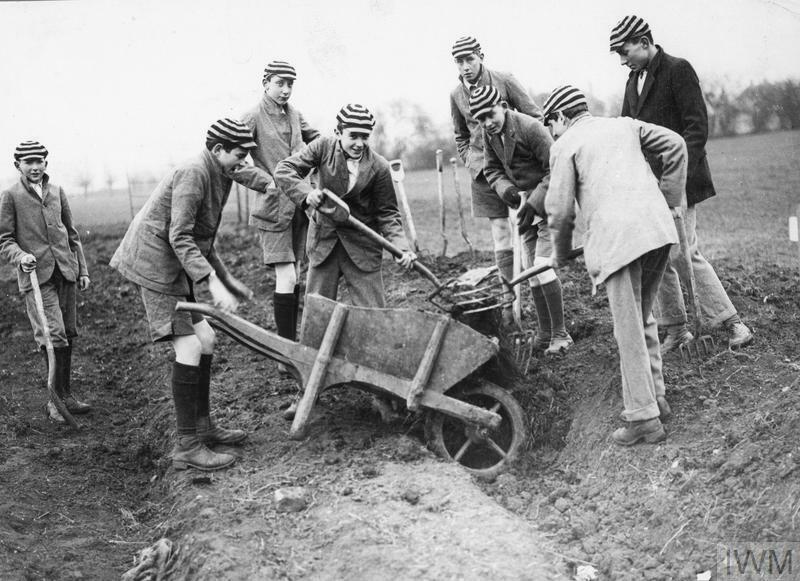 In Britain’s previous wars, the civilian population had almost been untouched. Now civilians were in the front line as towns on the east coast came under bombardment from German warships, and London and other cities and towns were subjected to aerial attacks from airships and aeroplanes in which 1,414 were killed and 3,416 seriously injured. Germany’s unrestricted submarine warfare resulted in the loss of many lives, seriously threatened Britain’s food supplies and led eventually to the introduction of nationwide rationing in 1918. Many other wartime measures affected the lives of ordinary people, including the Defence of the Realm Act, licensing laws and the introduction of conscription in 1916. Under Asquith’s successor, David Lloyd George, a much more centralised form of government was introduced. The war also brought about the emancipation of women and a general loosening of the class system. Terry Charman's book, The First World War on the Home Front, is available in our shop now. 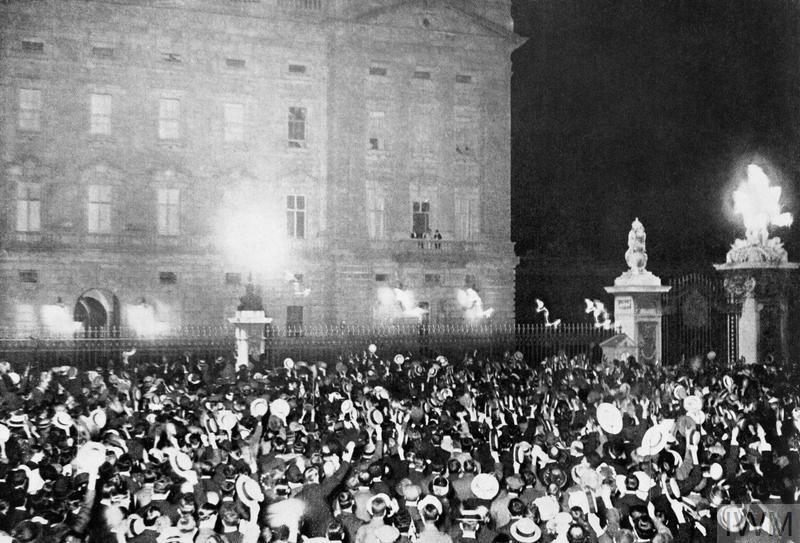 Crowds outside Buckingham Palace cheer King George V, Queen Mary and the Prince of Wales at the outbreak of war, August 1914. 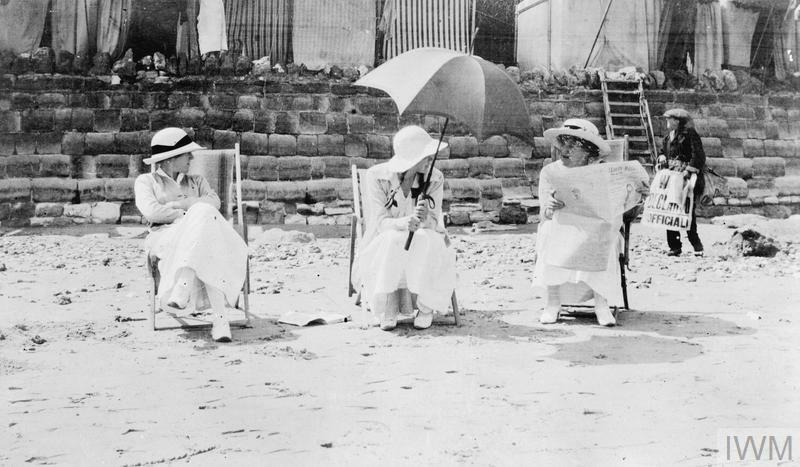 Holidaymakers read the news of Britain’s declaration of war on Germany, Wednesday 5 August 1914. 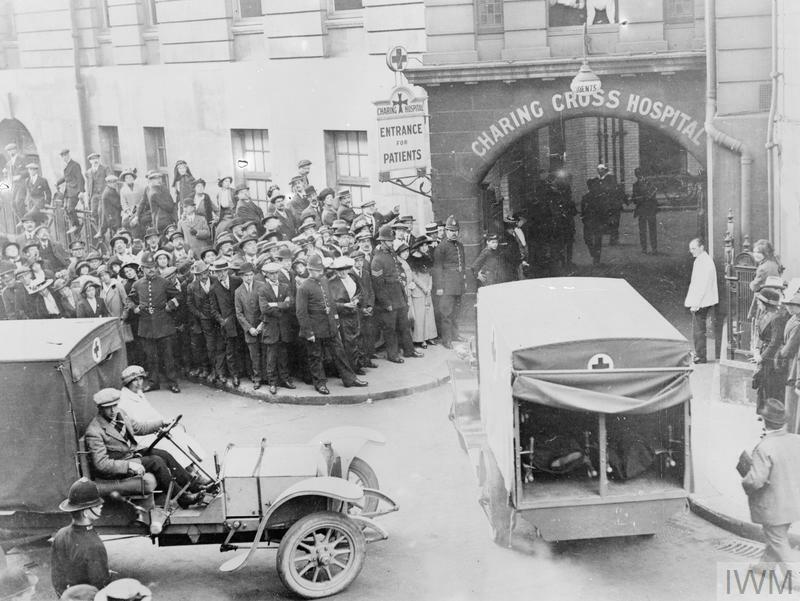 The first British wounded arrive in London from France, early September 1914. 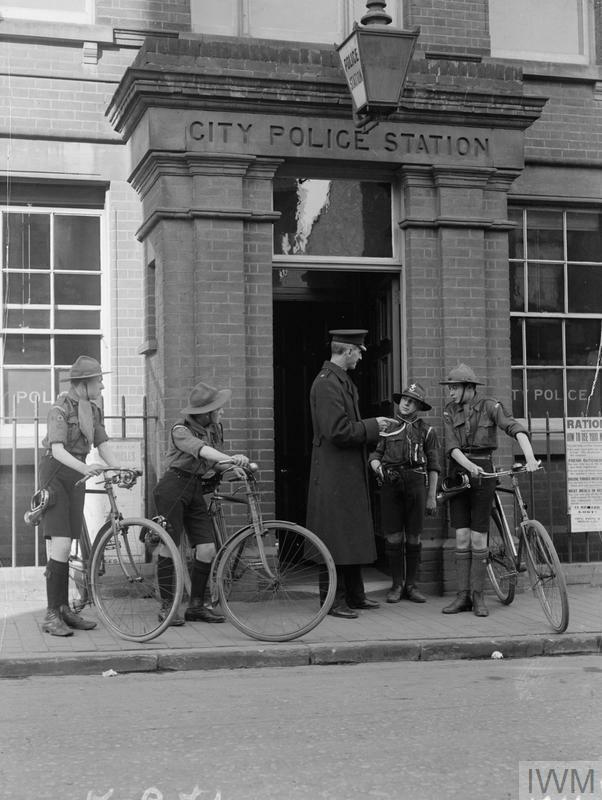 Boy Scouts receive instructions for sounding the ‘All Clear’ after air raids. 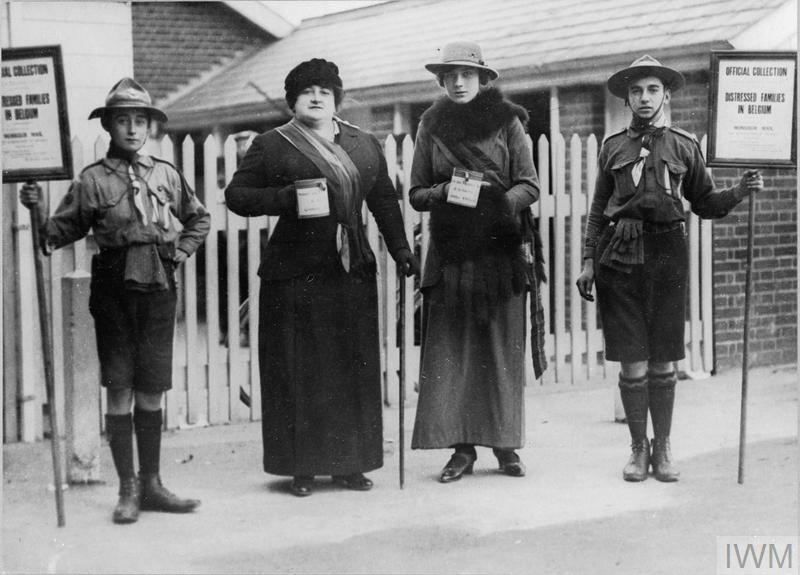 In the London area, 350 Scouts volunteered for air raid duty in time for the Gotha raid of 31 October - 1 November 1917. 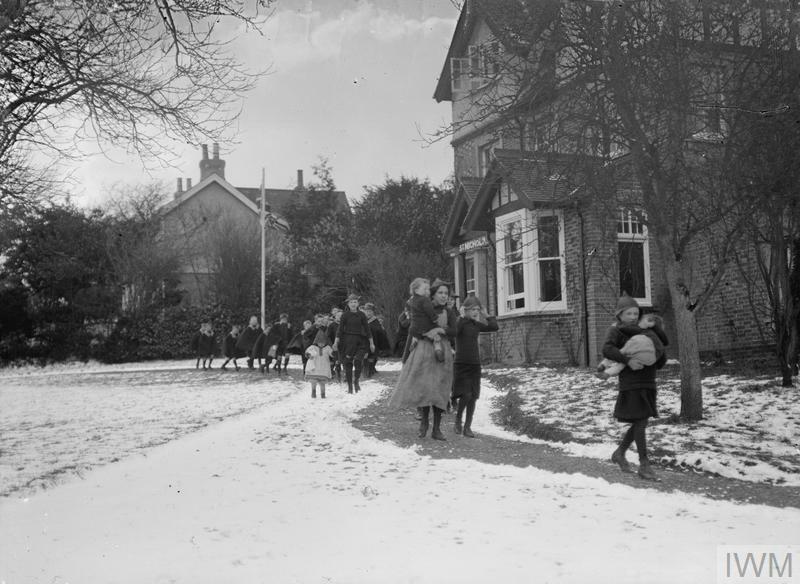 London children, suffering from air raid shock, return from a walk to St Nicholas’s Convalescent Home in Chailey, Sussex, early 1918. 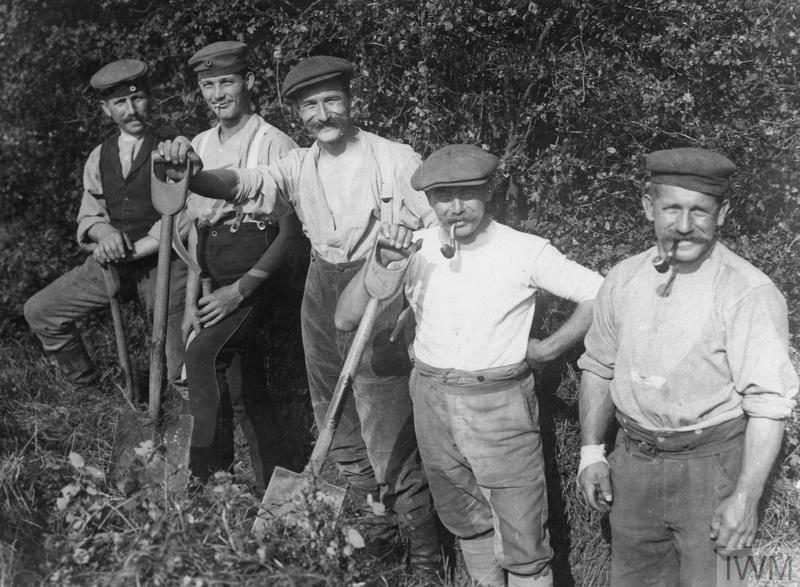 ‘Kamerad!’: German prisoners of war work on the land, October 1917. 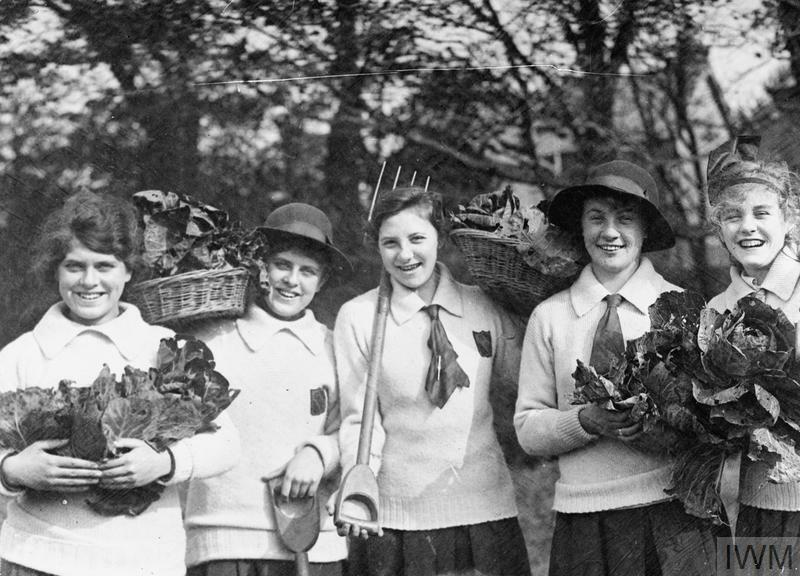 Schoolgirls doing their bit to stave off the German threat by growing vegetables in their school grounds, spring 1918. 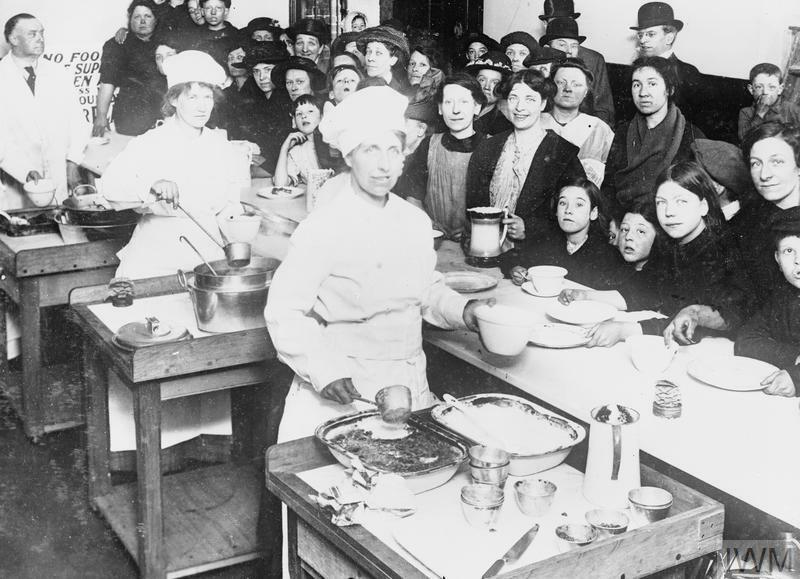 The first National Kitchen at 104 Westminster Bridge Road, opened by Queen Mary on 21 May 1917. 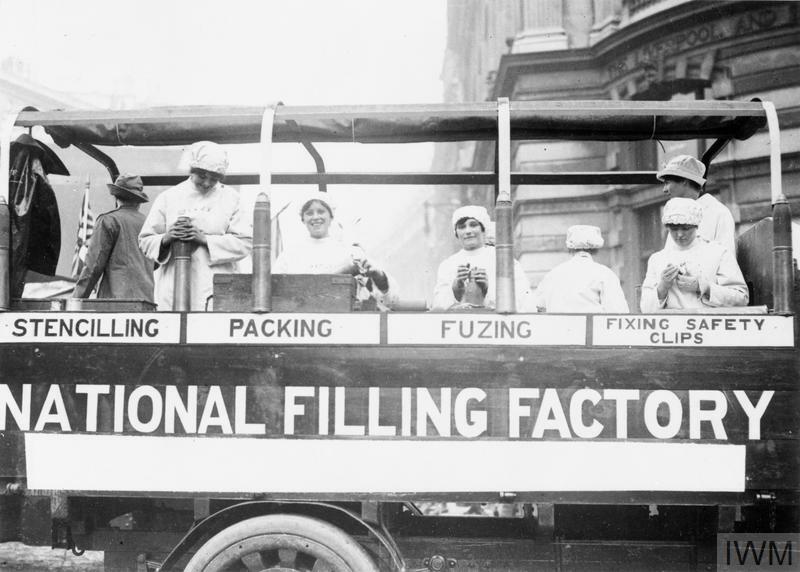 Munitions workers on board a float at the Lord Mayor’s Show in London, November 1917. 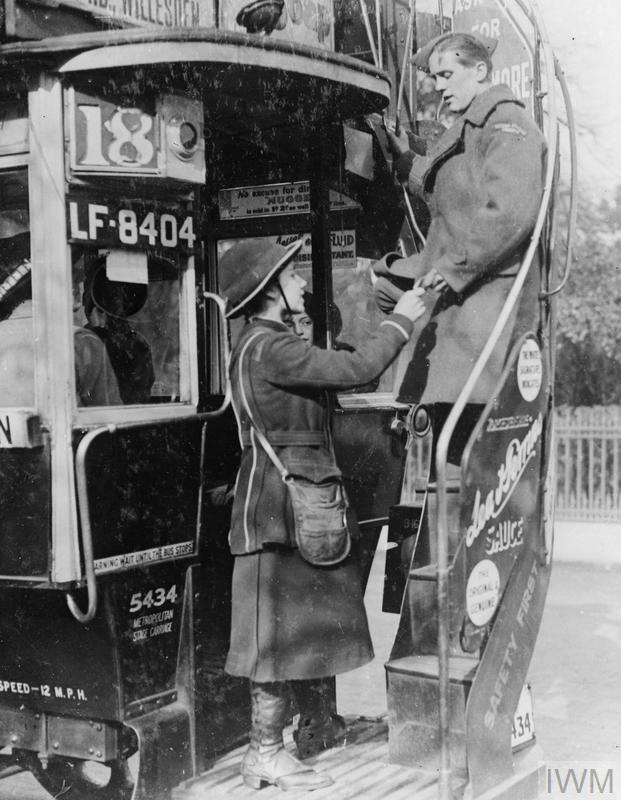 A London bus conductress taking the fare from a member of the Royal Flying Corps. 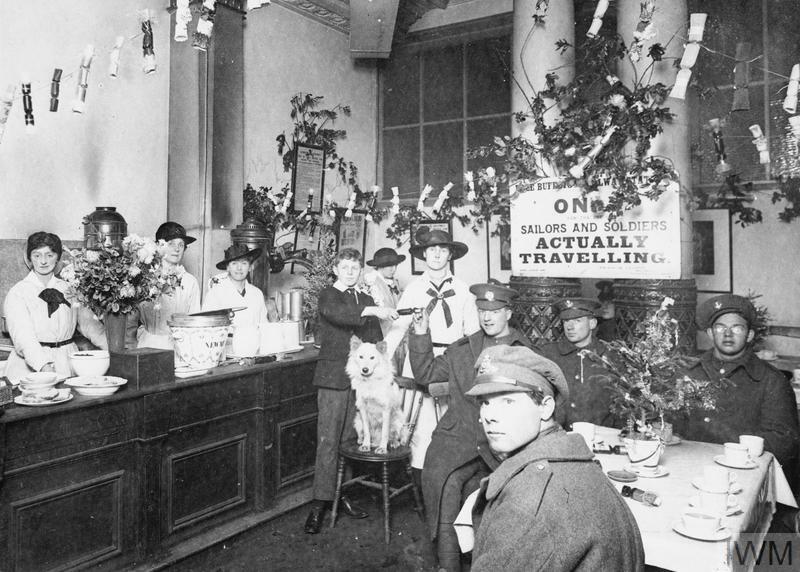 The free buffet at Euston Station, Christmas 1917. 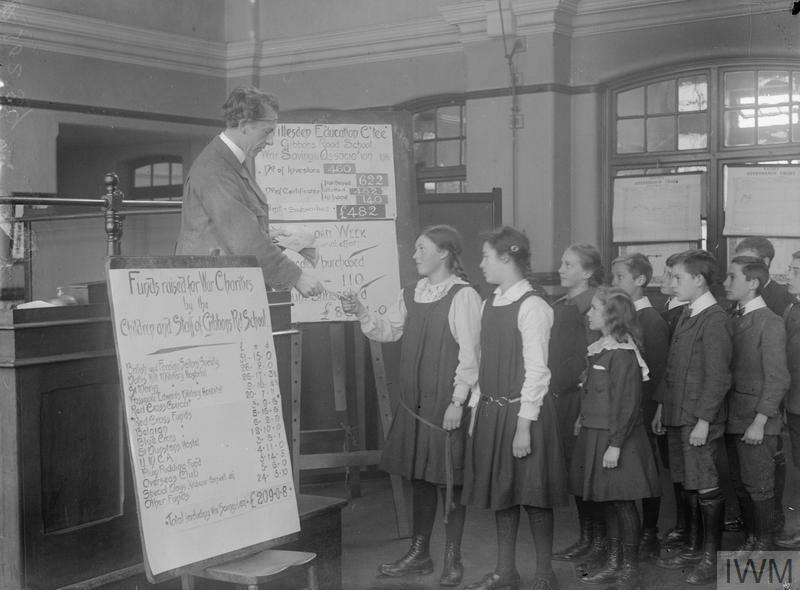 Children at Gibbons Road School in London receive their War Savings certificates for having contributed 15/6d (78p today) to the War Saving Association, 1916. 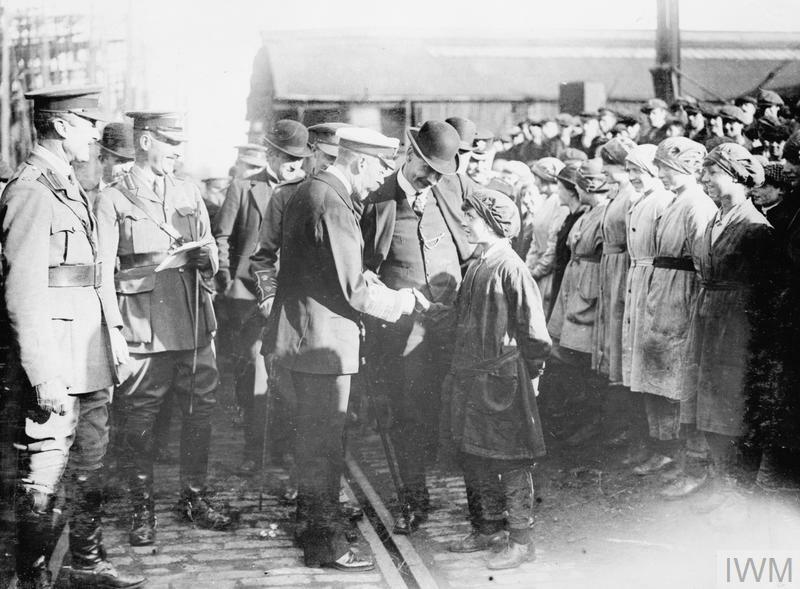 King George V meets 15-year-old Martha Roxborough, a worker in Messrs Russell and Company’s shipyard, Port Glasgow, 17 September 1917. 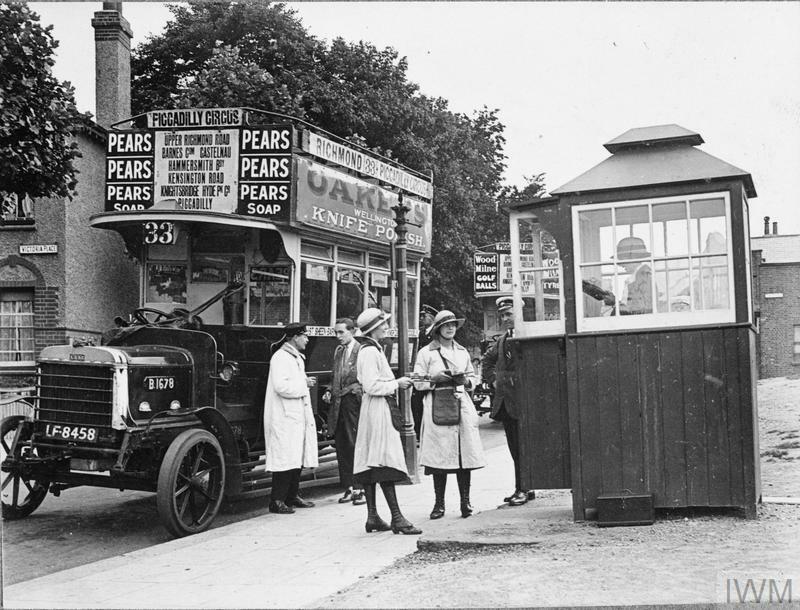 Bus conductresses in Richmond, Surrey, 1918. 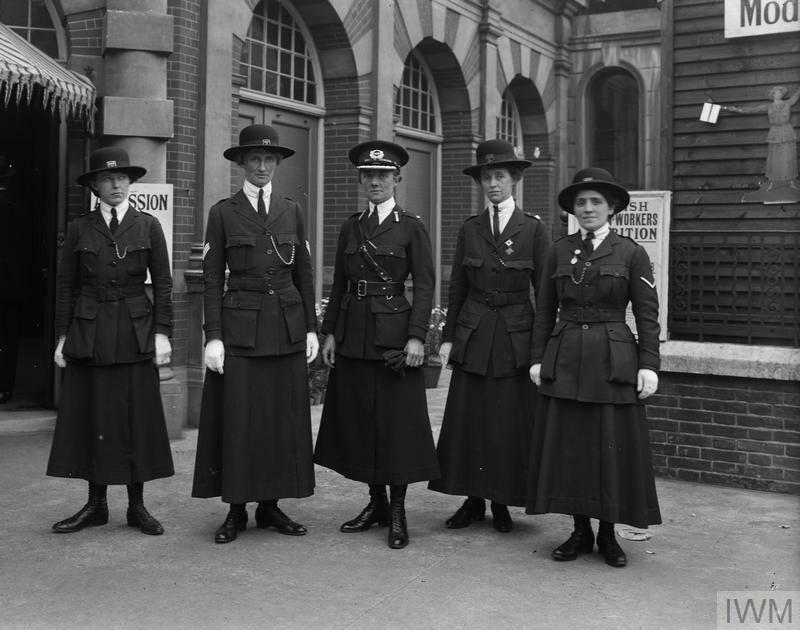 The London General Omnibus Company started recruiting women conductors in February 1916. 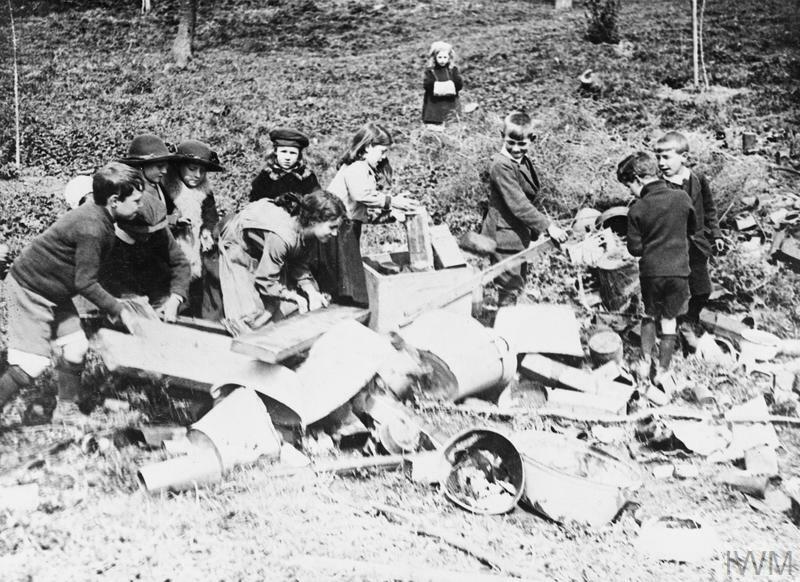 Buckinghamshire children on a salvage drive, 1917. 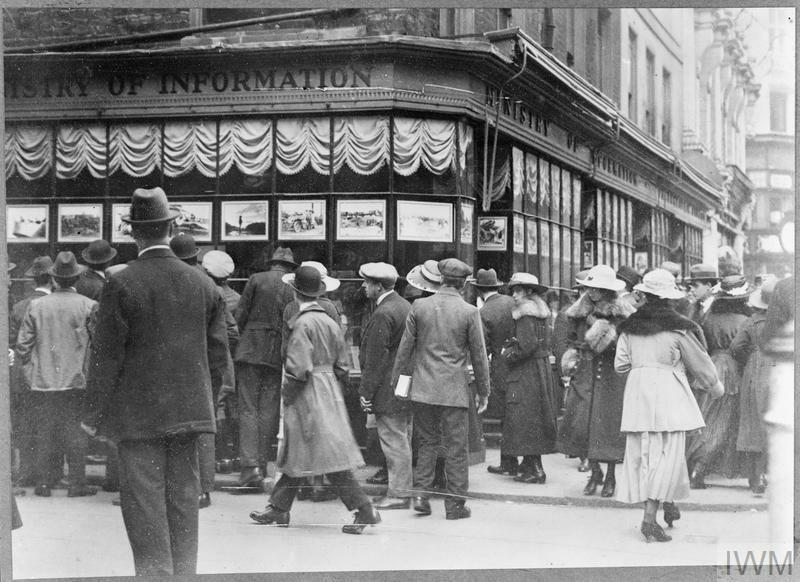 The scene outside the Ministry of Information's Photographic Bureau at 10 Coventry Street, London W1 in 1918. Crowds gather around the windows to view the photographs on display. 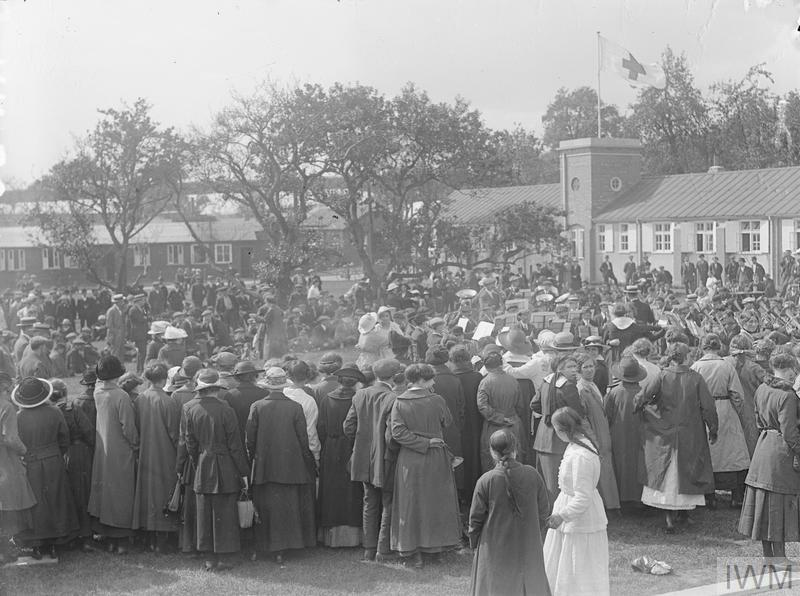 Belgian women collecting for distressed families at Newmarket racecourse, October 1914. Munitions workers dance during an open-air concert at a shell-filling factory, 1917. 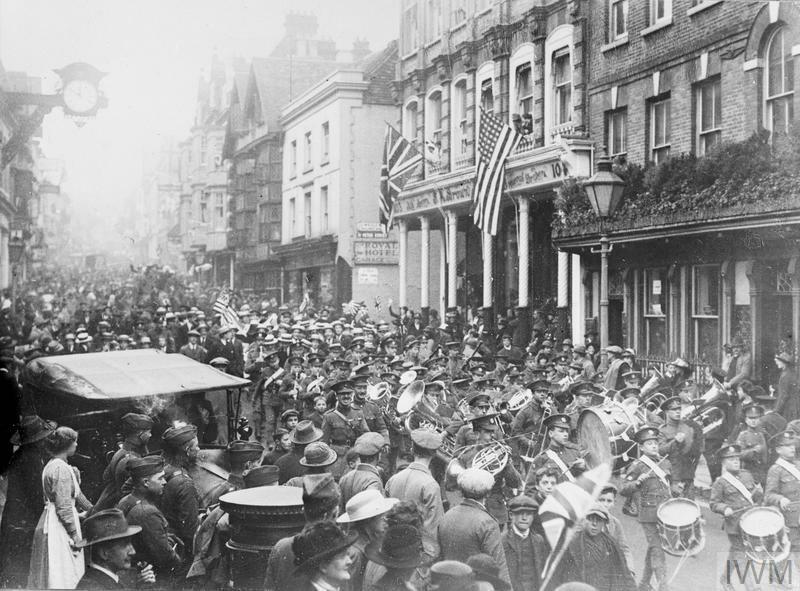 The scene in Winchester’s main thoroughfare on Armistice Day, Monday 11 November 1918.